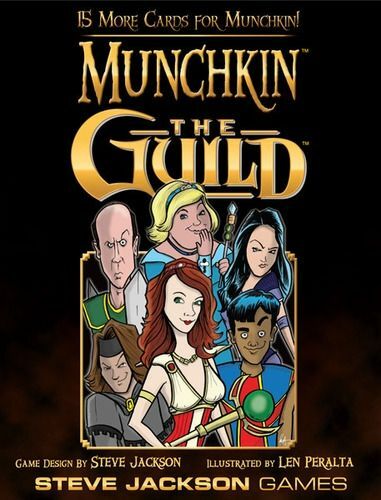 Munchkin The Guild is a non-randomized booster of fifteen cards based on The Guild, an independent sitcom web series about a group of online gamers. The cards have the same color scheme as fantasy Munchkin but can be used with any of the Munchkin standalone games. 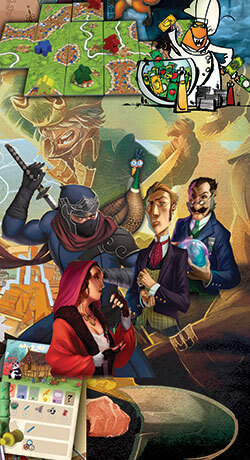 As the publisher notes: \"Add Codex, Vork, Clara, Bladezz, Tink, and the mighty Zaboo to your adventures. 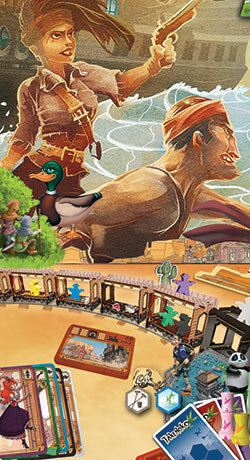 You may meet some of their foes along the way...\"
Even if you're not familiar with The Guild, most of the cards are still pretty funny and are good additions to a Munchkin game.